Let’s take a look at the price of the upcoming Samsung smartphone before we get to the nitty-gritty details. 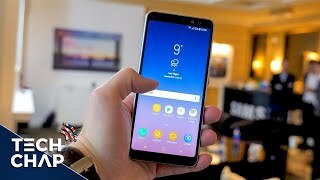 The Samsung Galaxy A8 has not been officially announced yet, so we will be depending on guess work for the Samsung Galaxy A8 Nigeria price. 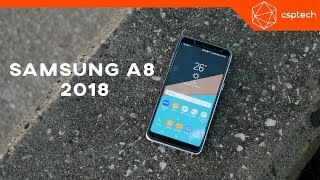 The Samsung Galaxy A8 is expected to be available for about 157500 to 177200 ₦ judging the price tags of the previous phones in the A series. The price will be slightly higher than the official price after the first few days of release which will go down after a while. Samsung is all set to extend their new A series phone lineup with the new Samsung Galaxy A8. The A series is popular for offering mid-range phones with premium designs and decent specs. 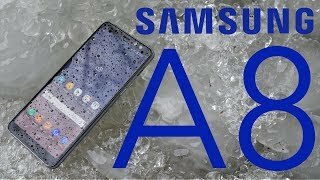 The upcoming addition to the A series is expected to show up with the all-metal build design just like its predecessors and push the screen size limit with big screen. 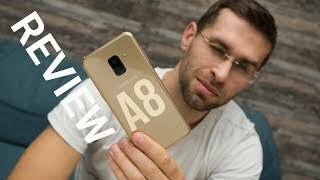 Continue reading to learn more about the Samsung Galaxy A8 release date Nigeria, specs and more. Don’t forget to take these information with a grain of salt as they are based on leaked information and rumors. 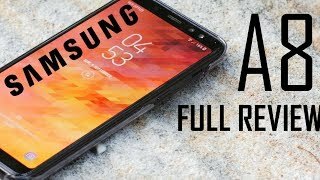 The Samsung Galaxy A8 will be featuring the biggest display among all the Galaxy A devices yet with a 5.7-inch Full HD Super AMOLED. However, that’s not the main attraction of the smartphone. The thickness of the phone is what makes the phone look super sleek and amazing which is only 5.9mm. The phone is only 157.7 x 76.7mm in dimensions and features the same premium, all metallic design like its predecessors. If you have a thing for phones with big screens, checking the Samsung Galaxy A8 Nigeria price will be a good idea. However, if you are looking for phones with even bigger screens, you can check out the Sony Xperia T2 Ultra or Asus Zenfone 6. Just like the Samsung Galaxy A7, the A8 packs Qualcomm Snapdragon 615 64-bit enabled, octa-core processor which has been paired with 2GB of RAM. Users get 16GB of built-in storage and the presence of a microSD card slot is still a mystery. 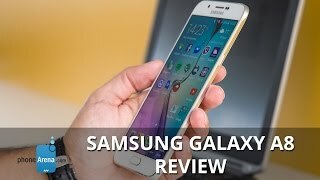 The phone will be running Android 5.0.1 with the latest and improved TouchWiz UX which was launched recently with the Samsung Galaxy S6. If you are looking for a smartphone with heavy specs, there is the Samsung Galaxy S6 Edge or HTC One M9 that you can check out. For those who want heavy specs in mid-range can think about checking the Samsung Galaxy A8 Nigeria price. This is another major feature of the Samsung Galaxy A8, a big battery. The Samsung Galaxy A8 packs a big 3,050mAh battery while also keeping the surprising 5.9mm thickness. A surprising feature for a mid-range phone from Samsung is its 16-megapixel rear camera. None of the mid-range phones from Samsung packs a 16-megapixel camera so far. The front shooter is a 5-megapixel one similar to other A series smartphones. For those who want a phone with huge battery can check out the Lenovo Vibe P1 Pro. The release date of the Samsung Galaxy A8 is still a mystery. Some reports are claiming that the phone will be a Chine exclusive. However, it’s not a done deal yet so there is still hope. 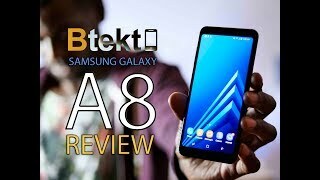 The galaxy a8 Mobile Phone is manufactured by Samsung and was added around March 2017 and is part of the Samsung Galaxy A8 series. This version of the Mobile Phone comes in Color : Black , Capacity : 32 GB , Processor Speed GHZ : 1.5 GHZ , Band : LTE , Display Size : 5.7 Inch , Sim Cards Slots : Single Sim , Special Features : Touch Screen , Special Features : External Memory Card , Special Features : NFC , Device RAM : 6 GB. The model comes in 23 other variations including combination of LTE Band , 32 GB Capacity , Black Color , 6 GB Device RAM , 5.7 Inch, 6 Inch Display Size , 1.5 GHZ, 2.2 GHZ Processor Speed GHZ , Single Sim Cards Slots , Touch Screen, External Memory Card, NFC Special Features. The best price for the Samsung Galaxy A8 in Nigeria is ₦ 192500 sold at kara and available with free shipping and delivery within 2-3 days (5-7 days for heavy items). By comparing prices and buying from the cheapest store you can save up to 13% or ₦ 28500.